To identify innovative and creative print marketing and fundraising providers able to grow the direct mail donor base of the Humane Society of Missouri (HSMO). Growing the direct mail file and stewarding donors in the transition from print to online donations is critical, as is forward thinking and strategic planning around this segment of HSMO’s donor base. 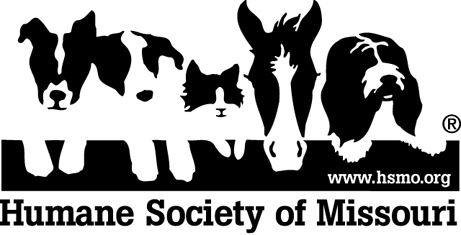 HSMO is one of the oldest and largest animal welfare agencies in the United States. Founded in 1870, HSMO provides second chances to animals in need through adoptions, education, veterinary medicine, animal cruelty task force and shelter behavior programs that reach more than 75,000 animals and 200,000 people every year. HSMO’s Direct Mail program is an integral part of the organization’s development operations and fundraising initiatives. Annually, development department staff process more than 29,000 gifts arriving as a result of direct mail communications. In an increasingly competitive non-profit environment, HSMO seeks a direct mail consultant to direct the organization in implementation of best practices to retain existing donors and grow donor acquisition through print and electronic media. The HSMO intends to award to the most qualified vendor a one-year contract, renewable annually based on results. Conceive, create and execute print and online solicitation and cultivation pieces that engage and inspire current, lapsed and prospective donors to support the mission of HSMO through online or mailed gifts. HSMO serves and solicits direct mail support from the entire State of Missouri and is a registered fundraiser in all 50 states. HSMO uses its own success stories and photos for direct mail and online fundraising. The selected direct mail consultant is required to incorporate HSMO customization into all fundraising and cultivation pieces in print and online. donors to HSMO. The target audience is acquired through list rentals or exchanges. Solicitation Appeals: The Appeals program is designed to continue member loyalty. » Manage mail shop vendor. In addition to the budgeted mailings, there are occasional emergency or additional mailings that arise due to current events or unique fundraising opportunities. Strategic Planning – Work with HSMO on the strategic and budgetary planning for print and online campaigns. Provide an overall estimated cost per campaign to ensure that HSMO stays within budget constraints. Project Coordination with Client – Work with the HSMO Assistant Director of Development – Data Management and Membership, the Chief Development Officer, and other HSMO staff as required. Research Activity – Stay abreast of industry trends to be sure HSMO is aware of any new packaging and/or mailing techniques related to the direct response fundraising program. Researching and provide cost-saving alternatives to maintain HSMO’s fundraising budget. Online Presence and Activity – Extensive knowledge and understanding of online fundraising and online donation best practices. Use online platforms to improve overall fundraising performance. Donor privacy and confidentiality – Maintain appropriate security measures to protect, safeguard and keep confidential information regarding HSMO’s existing or prospective members/donors, and its name, logo and other proprietary symbols. • Invoice for each program effort. • Detailed package costs for each program. • Complete itemizations of printing, postage, and administrative costs. • Quality and completeness of submitted proposal and presentation. • Overall direct mail and online capabilities to meet HSMO’s business needs. • Superior customer service and account management. • Experience and qualifications of the company. • References and relevant project history. It is the intent of HSMO to make a selection no later than April 30, 2018. All agencies will be notified by email once a decision has been made. The schedule requires that the selected entity provide services for the HSMO Fiscal Year: November 1, 2018 through October 31, 2019. RFP Cancellation. HSMO reserves the unconditional right to cancel this RFP or to terminate negotiations at any time without cost or liability to HSMO. Participation in this RFP or any resulting Agreement constitutes an affirmative waiver by participants of any claim to bid or proposal preparation costs. Please submit only one (1) original hard copy of full proposal in with one (1) electronic copy of full proposal in a format that is legible to HSMO, does not exceed 5 MBs, and can be easily electronically distributed to members of the evaluation team and/or printed and recorded as hard copy. Compliance with federal, state or local charitable solicitation laws and regulations applicable to persons engaged in professional fundraising. Inquiries, questions, and all correspondence concerning this solicitation document should be submitted via e-mail to jarnold@hsmo.org. HSMO shall e-mail responses to all vendors on a rolling basis at its discretion.